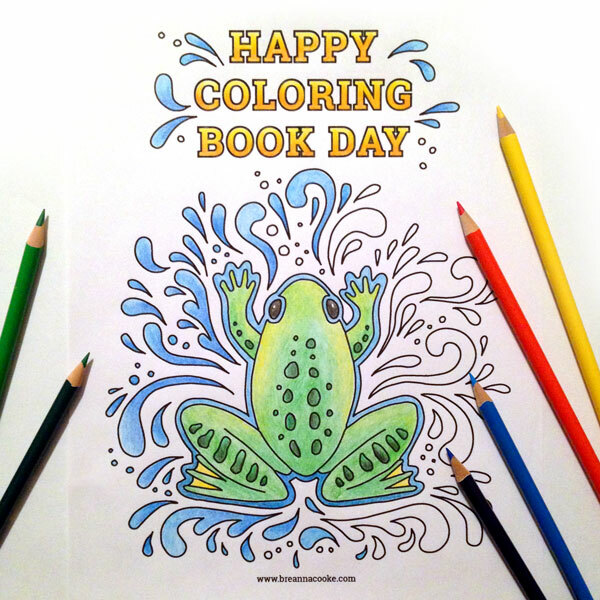 It’s National Coloring Book Day on August 2nd! 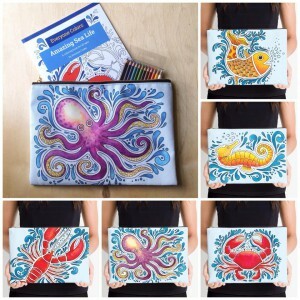 Grab your colored pencils, crayons, and pens and relax with some coloring. 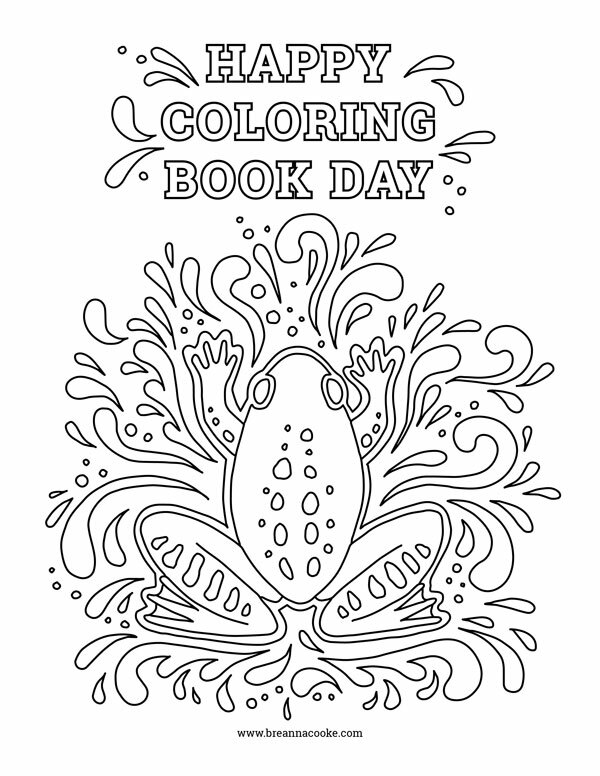 Download my FREE coloring page if you don’t have a coloring book yet. Click image below to download or download here. 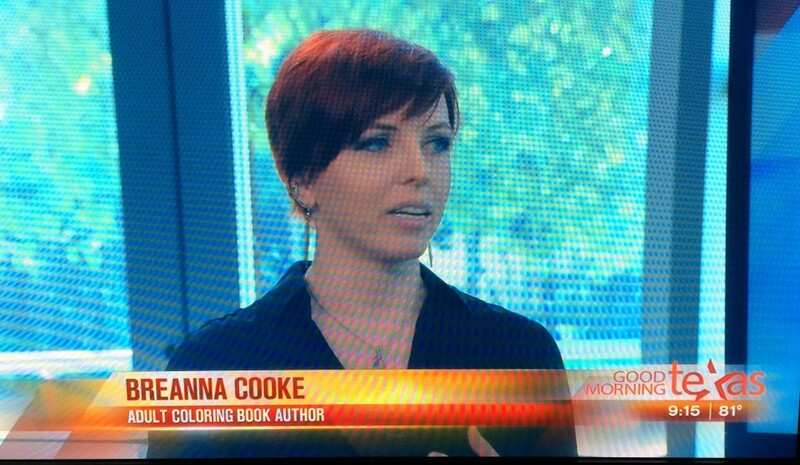 My coloring book, “Everyone Colors: Amazing Sea Life,” was featured on Good Morning Texas yesterday! 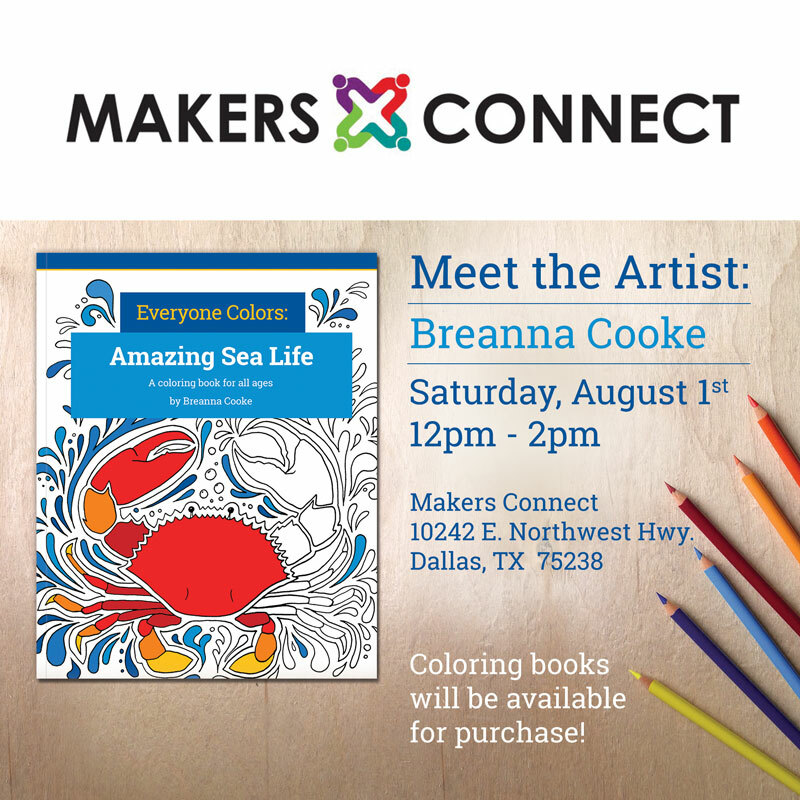 In case you missed it, here’s the video to the full segment where Mike Castellucci and I talk about the growing trend of adult coloring books. My book started with a fish drawing on an airplane a few months ago. Coloring was on my mind after reading about the resurgence of coloring books and I wished I had something to color on my flight. So I drew something to color in! As I drew more creatures and shared photos, my friends started asking me for a coloring book. So here it is! Order yours today on CreateSpace or Amazon. Watch the video on the WFAA Good Morning Texas website or on my Facebook page, Breanna Cooke Art.